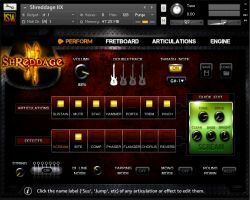 Impact Soundworks has released a major free update for their Kontakt library Shreddage 2: Absolute Electric Guitar. The update features a rework of the instrument's user interface and engine, adding new features, refinements, user requested options, and new recordings such as powerchord portamento and staccato samples. Existing users of Shreddage 2 can download the S2X update for free on the developer's official support forum: Shreddage 2X Update @ KVR Audio. 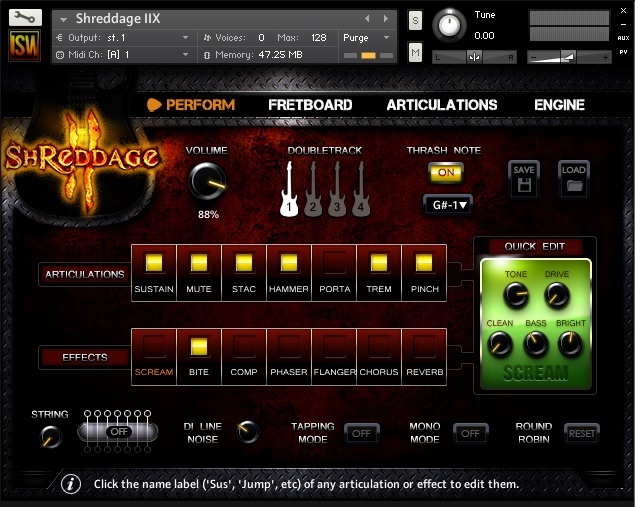 In celebration of this update, Impact Soundworks has discounted the price of Shreddage 2 from $139 to $99 (30% off) for new customers until July 28th, 2014. Shreddage 2 is compatible with Native Instruments Kontakt Player and includes a free copy of Peavey Electronic's ReValver HPse amp sim.